While most people would agree that their home security is a top priority, few are familiar with adequate security measures. A secure home employs high security locks on doors and windows, and a security system linked to police and emergency services can be used as a last line of defense. Casually selecting locks is never a good idea. Whenever possible, you should work with a professional locksmith to install locks and a security system that suit your residence. Locks that have been certified by the American National Standards Institute (ANSI) are proven and reliable locks. These locks are held to perpetually high standards, and they are constantly tested for performance. You may stumble across a variety of different locks at your hardware store, but if the locks do not carry a security grade from ANSI, an independent non-profit, it’s difficult to say whether or not you can count on them. Meanwhile, an ANSI-classified grade 1 deadbolt lock offers the highest level of security based on hundreds of rounds of tests. In addition to high security locks on your doors, window locks and a security system can help you round out your home security. Properly configured, a security system can provide an extra layer of surveillance and protection without being an inconvenience. You can also install motion sensor lights and post signs warning of your security system. Finally, maintaining the exterior of your house can go a long way to warding off potential burglars. A professional locksmith can assess the physical layout of your house and its surroundings, offer specific advice regarding high security locks and security systems and install any security components on the spot. A professional locksmith can also provide you with key copies and a master key system that can help you restrict access for certain residents. We have been helping residents secure their homes for years. Our team is available 24 hours a day, seven days a week, and we have experience working with both commercial and residential properties. 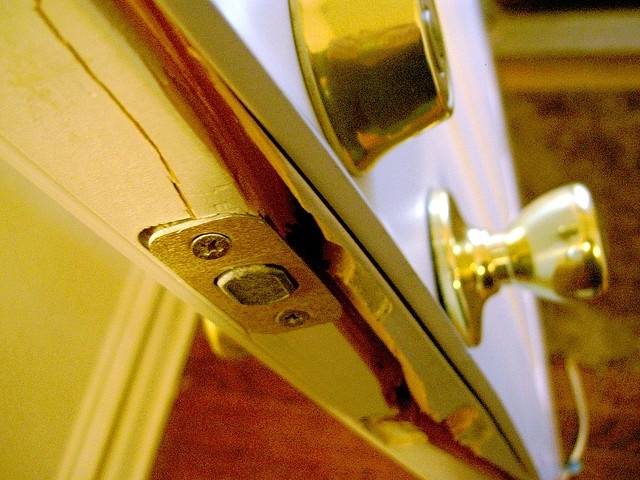 When it comes to your home’s security, don’t take shortcuts and don’t make guesses. Invest in quality work from a professional and buy into some peace of mind.